Today I went in for my free consultation in the Beverly Hills office. I met with Frank Richards, a Senior Counselor with Bosley , who filled me in on all the details of why men lose their hair, where my hair loss was on their scale of 1 to 7, and what my options were. DHT, or Dihydrotestosterone, is what causes hair loss in men who have been unfortunate enough to have inherited the genetic susceptibility to hair loss. 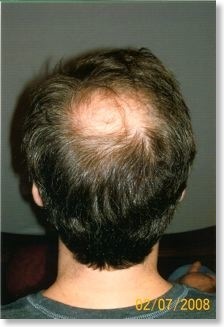 In general, the hair on top of your head is affected by DHT but the sides and back are not. That is why you see many bald people who are only bald on top and not around the sides or back. The good thing about having DHT-resistant hair on the back and sides of your head is that you can move this hair to the top and it will continue to grow normally. So how does my hair rate on the Bosley scale? It is gone in the back and receding fast in the front so I was around a 4 in the front and a 5 in back. 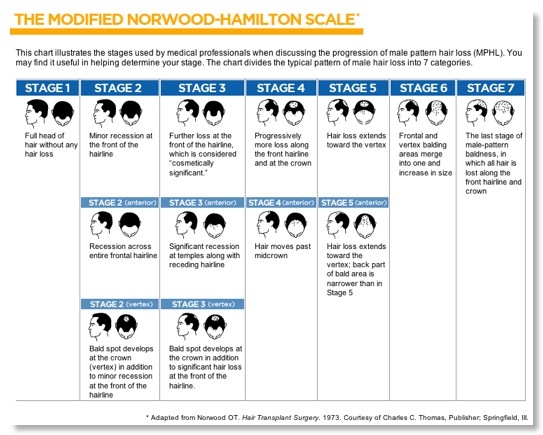 Here is the chart showing the Norwood-Hamilton scale that Bosley uses. 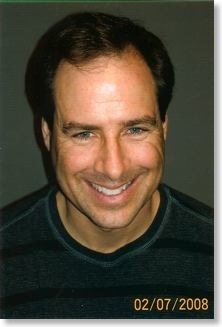 Dr. David Deutsch then came in for a consultation with me. We discussed the same things that I sopke with Frank about and we got into a little more detail on my options. 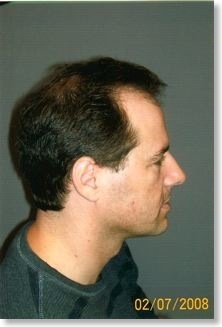 The options given to me were Mens Rogaine , Propecia, laser light, and hair transplant. I explained to Frank and Dr. Deutsch that I had used Mens Rogaine and it seemed to grow my hair back when I was in my late 20s but the last time I used it about a year ago, it didn't seem to be doing me any good. I also didn't like the idea of having to put something on or take a pill every day for the rest of my life. 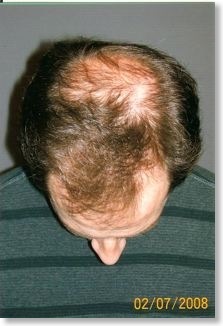 That ruled out Propecia too. One option I tried about 2 years ago was laser light. For one year I sat under a hemisphere that looked like a hair dryer. Red lasers would pulse for a 20 minute session while I sat and read a book. 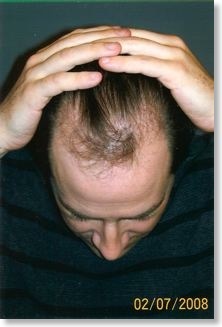 I did this twice a week for a year and I didn't notice any growth or slowing down of my hair loss. Dr. Deutsch explained that the laser light only has the effect of retarding the loss but it won't stop it completely. That was when the clear option to me and them was the hair transplant. To make sure I was a good candidate, Dr. Deutsch checked the back of my head for hair density which he said was very good. He also grabbed the hair in back and moved it up and down to check the elasticity of my skin. During the procedure a strip of skin is removed and he wanted to make sure it would be easy to close up. He said my elasticity was very good. I asked him how many grafts it would be and he said 3000 would be good. 3000 is about as much as they can do in one day. Dr. Deutsch asked when I would like to schedule an appointment which is when pricing came up. He left the room so Frank could go over pricing with me. Getting a hair transplant is not an inexpensive proposition but it was the best option for me as nothing else was working and this is a permanent solution. Bosley has a graduated scale that starts at $9 per graft and goes down to $5.50 per graft. Due to the number of grafts I would be getting, I would be in the $5.50 per graft category which brought my base price to $16,500. Luckily, they offer financing through Capital One so I signed up for a 12 month, 0% interest payment plan. My procedure is scheduled for March 14th.